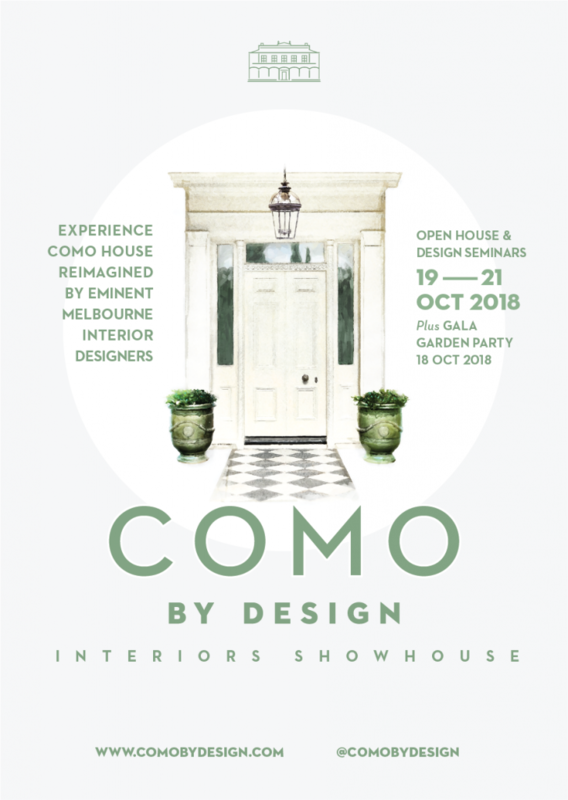 Como by Design offers the opportunity to view historic Como House ‘Reimagined’ by twenty-six eminent Melbourne designers in one beautiful location from Friday 19th to Sunday 21st October. The three day event will see designers each decorate a space of the house with their own style and flair, bringing a fresh look to the period residence from the grandest to the most humble of spaces. Decorative arts and storytelling and integral to any design creative process. During this conversation, the panel will reveal their own narrative, and share how, from concept to reality, they capture a design sensibility to enrich our homes with compelling and authentic stories. The panel will also include the esteemed international interior designer, Nina Campbell. As recently noted in her new book, Nina Campbell Interior Decoration, Elegance and Ease, “Nina’s interiors have an effortless look that can only be achieved through obsessive attention to detail. Her greatest contribution by far is her championing of the idea that the relationship between interior designer and client should be highly collaborative”. This seminar will be followed by a book signing with Nina Campbell.